Located in central Argentina, Rosario sits on the banks of the impressive Parana River and is renowned for being an exciting, up and coming city. Neoclassical architecture is littered through the streets and for those who prefer a human touch, you can go see where the likes of Che Guevara and Lionel Messi grew up! The city is also well known for its National Flag Memorial, an incredible structure besides the river that commemorates the first raising of the national flag during the War of Independence in the 19th-century. We’ve selected the best place to stay in this picturesque city to see it all! With the warmth comes the rain in Rosario, so although October to March boasts temperatures in the early to late twenties (degrees celcius), these are also the months with the highest chance of rain. To avoid the showers, aim to visit between May and August when temperatures are generally in the late teens. Monumento a la Bandera (Flag Monument) is a must visit. It’ll be sure to take your breath away as well as give a fascinating insight to the country’s history. Also don’t forget to explore the surrounding Parque Nacional a la Bandera, a terrific spot to relax in. Visit Teatro El Circulo (theatre) to see some great local performances, or just to see the spectacular building itself! Parque Urquiza is a lovely spot to spend some down time. Quiet, clean and perfect for a picnic. For a wide range of self catering options from budget to boutique, contact our online partner, booking.com. Rosario International Airport is situated 13k north west of the city. You can fly here from various other Argentinian cities as well as Brazil and Uruguay. Best time to visit Rosario is their summer months (November to March) if you want heat - it can get into the 30s. However it can also be quite rainy during these months too. The best for both heat and less precipitation is January. If you plan to hire a car whilst you're here, we recommend you check out the prices with our online partner Rentalcars. A luxury property boasting a rooftop pool and epic city views. Elegant rooms feature modern art, parquet flooring and floor to ceiling windows. The restaurant serves exemplary cuisine complete with views of the Paraná River. Total rejuvenation can be found in the spoiling spa. A chic city pad. 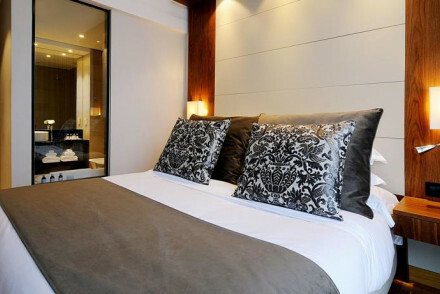 City Style - A sophisticated contemporary hotel complete with spa and rooftop pool. Great walks - Take a walk around the picturesque Parque Independencia.